The festive Opening Concert of Budapest Ritmo pays tribute to the genius of Béla Bartók, and the endless inspiration of folk music. A musical journey takes the audience to the time and place of Bartók’s field collections: a world where folk music was present in every moment of daily life, as well as the sacred rites of communities. 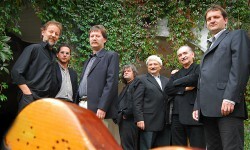 The concert presents a unique selection of Hungarian and Romanian tunes from Transylvania, Serbian and Slovakian folk treasures, and the Bartók compositions inspired by them. Excellent musicians guide us in the discovery: the spirited Söndörgő and Buda Folk Band as the new generation, Vujicsics with their established art, Szilvia Bognár lending her beautiful voice, Antal Zalai and József Balog as acclaimed masters of the violin and piano respectively, finally Ifjú Szívek Dance Theatre crown the show. Original recordings and photos make the experience complete: the concert gives a rare occasion to experience the world-famous Hungarian composer from within, set in the top-notch concert hall bearing his name. The evening begins with Buda Folk Band, Antal Zalai and József Balog playing Hungarian and Romanian music, displaying their original take and confident skill. Serbian tunes arise from the hands of two generations: Söndörgő and Vujicsics, complemented by Szilvia Bognár’s enchanting vocal skills. Bartók’s intimate relationship to the Slovakian Uplands receives a gifted presentation by Ifjú Szívek Dance Theatre from Bratislava. The piece entitled “Letters from the Uplands” showcases Hungarian, Slovakian, Gypsy, Ruthenian and Jewish dances with writings by Béla Bartók, Zoltán Kodály, Sándor Petőfi and Sándor Márai as a literary backdrop. 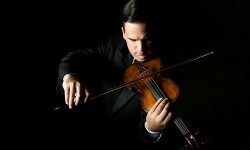 Having an impressively large repertoire despite his youth, József Balog has toured the world’s stages. 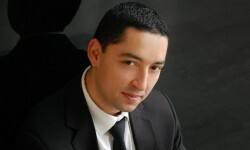 He represents the Hungarian piano tradition defined by Liszt, Dohnnányi and Bartók, but also ventures onto the grounds of jazz and contemporary classical music. Refined perfection and touching power characterize the singing of Szilvia Bognár, one of the most renowned folk music singers in Hungary. She has proved her talent in many genres, bands and projects, keeping her openness and will to experiment, as truly gifted artists do. 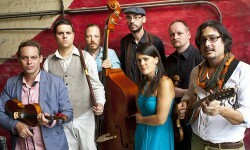 Buda Folk Band combine two of their natural elements: folk music and urban culture. 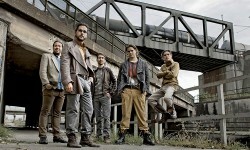 Their breathtaking concert at WOMEX15 won them international acclaim. Their new album out this year the confident youth of Hungarian folk music will again make their mark. Ifjú Szivek from Bratislava put the folk tradition of the Carpathian-basin into present tense, lead my artistic director Dusán Hégli. Apart from a captivating show of folk dances, an overarching concept and projected visuals complement the performance. Their production titled “Letters from the Uplands” also adds a literary layer to Bartók’s work. A Tambura band equalling a sonic boom: Söndörgő follow the path laid down by Vujicsics, only with such fervor and virtuosity that the roof seems to fly off. Their skill and intimate connection (some of the members are brothers, all of them good friends) is evident, and pays their music good service. In the business of keeping Serbian and Croatian heritage alive in Hungary since 1974, Vujicsics have a long list of folk music achievements. They gave center stage to the tambura, a stringed instrument otherwise not associated with Balkan folk music. It is hard to pick more authentic representatives of the Southern-Slavic tradition in Hungary. Acclaimed by the classical music scene at home and abroad, Antal Zalai is one of the most remarkable violinists of our time. He will no doubt offer a personal and virtuoso performance playing Bartók, whose works Zalai’s career is intertwined with, at Budapest RITMO’s Opening Concert.